We are delighted to announce the 5 finalists for the Pistoia Alliance President’s Startup Challenge 2018. This year we have solutions covering Diagnostics for research, microbiome analysis, laboratory of the future and bioprocessing technology. You can find out more about each finalist below. Please contact me directly if you’d like to be put in touch with a particular startup here. After a support day on the 9th October with experts from our industry, they will present their pitches at our members US Conference in Boston on October 10th. BreastIT is a portable diagnosis tool for breast abnormalities as cancer. It’s a handheld, pocket sized photo-acoustic imaging system that empowers radiologists to make focused assessments and accelerate treatment decisions at the point of care. radiologists can be able to take decisive action, refer patients quickly, optimize the course of treatment reducing the overall cost of care in low resource settings. As breast IT accelerates the rate of early breast cancer detection, its primary impact is increasing the survival rate of women who live with the condition. The portability of the device means that especially women in poor and rural areas are able to benefit from the technology. The team has high ambitions, hoping to launch their product worldwide and then use the data collected to support academic research of breast cancer. 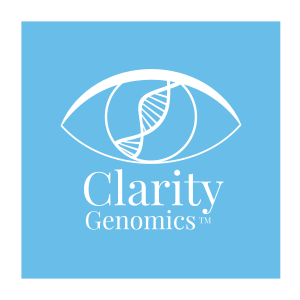 Clarity Genomics provides host-microbiome data analysis and interpretation services for clinical research with expertise in longitudinal microbiome-metabolome interactions. Clarity Genomics supports translational and clinical development programs leveraging the therapeutic and diagnostic potential of the host microbiome. 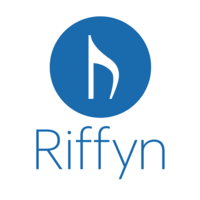 The cloud-based Riffyn Scientific Development Environment structures and links experimental designs and data across R&D teams for real-time analytics.For two decades R&D digitization has focused on ELN, LIMS, and SDMS for experiment data capture. This resulted in fragmented data silos and systems, and neglected the most important piece of the puzzle: design and analysis of the scientific processes across the R&D lifecycle. Traditional approaches don’t connect the dots from hypothesis to observations to traceable scientific decisions. Riffyn returns focus to the scientific process itself with its paradigm-changing data system, Riffyn Scientific Development Environment (SDE). It is for global R&D organizations who need more productive, more reliable science. The Riffyn SDE takes you from laboratory data collection to machine learning in 30 seconds. uFraction8 is developing a solution designed to address the need for a scalable, low energy primary recovery solution for bioproducers using unicellular cultures. Using massively multiplexed modular microfluidic arrays, the power of microfluidics can be scaled to address the needs of industry. Our solution exploits hydrodynamic effects to gently separate cells from liquid flows that are confined to uniquely designed flow channels. uFraction8’s systems allow for a single step dewatering system, while delivering substantial energy savings, reducing labour and material transfer and, increasing yield by using a uniquely low shear flow regime. We can save 75% of the primary recovery costs compared to conventional techniques. UniteLabs is a software company that focuses on developing easy-to-use, reusable and flexible automation that adapts to the ever-changing needs of life science research. Thanks to the open ecosystem, their customers can add devices and repurpose the laboratory automation without further assistance or service fees. This allows for mixing and matching of any instrument or information system and operating it by the intuitive software that does not require any training. Currently, UniteLabs is leading a collaborative initiative to develop self-driving lab robots. If you’d like to know more about the Pistoia Alliance’s startup challenges and similar events, contact David Proudlock.